PAUL JAY: In Israel’s attacks on Gaza, it’s now more than 1,900 people that are dead, more than 460 of which our children. And the debate within Israel perhaps gets even more chilling on just what the plans might be. Now joining us from Ramallah is journalist Max Blumenthal. He’s an award-winning journalist, best-selling author. His latest book is Goliath: Life and Loathing in Greater Israel. And as I said, he’s in Ramallah, the occupied Palestinian territories, or now some people say the state of Palestine. Thanks for joining us, Max. MAX BLUMENTHAL, AUTHOR, GOLIATH: LIFE AND LOATHING IN GREATER ISRAEL: Good to be with you from this dungeon in Ramallah. JAY: So the debate, when you look at the sort of debate in the Israeli press, one of the things jumped out at us. This is a piece by Moshe Feiglin, he has an article he just wrote, an op-ed, where he said his plan for Gaza. And it more or less comes down to let the people of Gaza know that the attack is coming and give one warning; allow people out, in other words let people leave and go to Sinai, but I thought the Egyptians would have something to say about that, and in his piece he doesn’t mention that; and then flatten the place, more or less. And then occupy the place completely and essentially ask people to leave, encourage people to leave, give people money to leave, and then occupy Gaza with Jewish settlers and claim Gaza a fully as a piece of Israel. In other words, a forced expulsion, that’s his strategy for Gaza, and bomb the hell out of the place to get there. How serious a position is this within Isreali discourse? BLUMENTHAL: Well, before the assault on Gaza began in earnest, before Operation Protective Edge as was announced, Feiglin, who is one of the deputy speakers of the Knesset, called for Israel to cut off electricity and water to the Gaza Strip. There are signs around Israel which are calling for this in public streets, saying it’s the moral thing to do. And this is very mainstream right now. The Israeli army has done just that. They attacked Gaza’s only power plant. They’ve refused to restore electricity to the Gaza Strip from outside. And 90 percent of the Gaza Strip is without water because the attacks on the sanitation system have been so thorough. 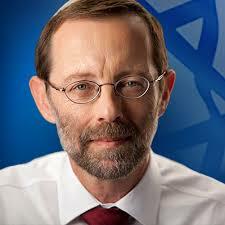 So plan Feiglin is really–it’s come to fruition through Operation Protective Edge. Now, during Operation Protective Edge there’s a sense of frustration in Israeli society that they didn’t quite finish the job. The sense is that, okay, oh, 1,800 people have been killed, all the Israelis I’ve been speaking to are aware of the level of civilian casualties. Over 300 children have been killed in the last month, most of them under 12 years old. But the soldiers are very frustrated, Israelis are frustrated, that they feel like in another year or two there’ll be another operation like this and 2,800 will be killed, nd how long will they have to live with the Gaza Strip? How long will they have to live with rockets and tunnels? They want to finish the job. And Feiglin is catering to that mentality by calling for this plan of expulsion and reoccupation. Many of the Israeli soldiers, as they were going in during Operation Protective Edge, were singing, “let’s go back to Gush Katif”, referring to the settlement that was evacuated in the Gaza Strip in 2006. Many of the people I see at right-wing protests are former residents of Gush Katif, and they’re really pushing for reoccupation of northern Gaza. But beyond that is there’s the genocidal aspect of Feiglin’s remarks. And genocide, incitement to genocide, is incredibly common right now in Israeli political discourse. It’s not just Feiglin. There’s Giora Eiland, who was one of the heads of the Institute for National Security Studies, which consults for the Israeli military. He’s a former national security adviser, someone who’s deeply embedded in the military intelligence apparatus. And today he published a piece in Yedioth Ahronoth, which is the main newspaper in Israel, pretty much calling for genocide in the Gaza Strip, or at least justifying it. He’s basically making the case that there are no civilians in the Gaza Strip because they elected Hamas as Germans elected Hitler. This is the same rationale that Osama bin Laden used to justify the 9/11 attacks and the indiscriminate slaughter of Americans, because they had elected governments which had attacked the Middle East, which had attacked Muslim nations. So you’re hearing this from mainstream figures, not just from crazy old Feiglin, who’s willing winning lots of fans and followers with this kind of rhetoric, who’s really keeping up a public profile. Ayelet Shaked is another figure who’s called for genocide. She is a rising star in the Jewish Home Party, which is the third most popular party in Israel, a senior partner in Netanyahu’s governing coalition. She called for exterminating Palestinian mothers to prevent them from giving birth to, quote-unquote, “little snakes”. And last night, along with Lia Tarachansky, who’s your correspondent for The Real News in Israel-Palestine, I followed a march of settlers, led by this group Women in Green, who established new religious nationalist settlements around the West Bank. We followed them up to the Jaffa Gate in the old city of Jerusalem, and there we heard more genocidal rhetoric. At the top of this hill, I interviewed Daniel Luria, who is the head of Ateret Cohanim. It’s a 501(c)(3) nonprofit in the United States that raises money, tax-exempt, in order to eject Palestinians from their homes in East Jerusalem and replace them with Jews. And Luria, in denouncing what he called the snakes to the South, the serpents to the south, referring to the people of the Gaza Strip, said that Israel had to take care of the sons of Amalek. Whenever you hear the word Amalek, the term Amalek, that is a call for genocide, because Amalek was the incarnation of evil in the Bible, and in Jewish history is considered anyone who wants to wipe out the Jewish people. And the only way to handle Amalek is as he was handled in the Bible: complete destruction. And that’s what Daniel Luria told me in English in his Australian accent, that the Amalekites had to be eradicated. Finally, just a word about Feiglin’s view of the Gaza Strip and the view of many of the people in the religious nationalist camp, who were an incipient political movement in Israel. They believe that the Gaza Strip is part of Israel because it had been inhabited by Jews some several thousand years ago before it was inhabited by Palestinian Arabs. And so this idea of actually expulsion from the Gaza Strip to the Sinai Peninsula is part of this messianic plan for fulfillment of a kind of religious revival and redemption in the land [crosstalk] Israel. JAY: I’ll read a little bit from Feiglin’s op-ed here. After saying that whole areas of Gaza should get a single warning and then be bombed without regard to, he says, human shields or environmental damage–environmental damage I suppose means blowing up houses and hospitals and schools and whatever else. After saying that, here’s how he describes what comes next. How serious a scheme is this? I mean, how seriously is this kind of a scheme being taken? BLUMENTHAL: Well, it’s not taken seriously as a kind of blueprint for action. The blueprint that Israel’s enacting has been spelled out, and it’s not by someone like they Feiglin. But what Feiglin is doing is–you know, he’s just a demagogue who’s playing to the most base impulses of Jewish Israeli society, and those impulses are towards genocide. The way that the Gaza Strip has been conceived, according to the designs of Zionism, makes genocide possible. And the way that Palestinians are viewed in general, but particularly in the Gaza Strip, in the increasingly eliminationist Jewish-Israeli mindset is something that should concern everyone who thinks that a sort of modern industrialized nation-state with a highly educated public that claims to be a democracy could not commit genocide. I mean, I think we are witnessing some kind of incarnations of genocide in the Gaza Strip right now. And what Feiglin is doing is–. Go ahead. JAY: I said you would have thought there were was some kind of line the Israelis would cross that would be a little bit too far for even the American political elite and media elite. But what’s going on now, there doesn’t seem to be a lign they can cross that will actually erode what seems to be almost completely unconditional support. BLUMENTHAL: Well, let me talk about that in the context of the logic of maintaining the Gaza Strip as a kind of human warehouse. I mean, the Gaza Strip, its population are 80 percent refugees. They’ve been ethnically cleansed from what is now Israel. Many of them are from the areas that rockets are fired to. And they can’t be allowed to return, because they will upend the Jewish demographic majority. That means that if they were Jews, they wouldn’t be in the Gaza Strip in this ghettoized area. They’re being kept there simply because they’re of the wrong ethnicity. And so they have to be kept there. I mean, the Egyptians don’t want them. They don’t want them in the Sinai in tent camps, as Feiglin proposes. And Jewish Israelis will fight tooth-and-nail to prevent them from coming back. So the Gaza Strip has become a warehouse for surplus humanity. And the siege of the Gaza Strip is simply a means of maintaining indefinitely this kind of situation. Since the siege was imposed after 2006, when the settlers at Gush Katif were removed, Arnon Soffer, who we talked about in the previous interview, is a government adviser whose role is primarily to consult on maintaining the Jewish demographic majority, said that we will have to kill and kill and kill every day all day in order to suppress the threat from the Gaza Strip. Avi Dichter, who was then the head of the Shin Bet, Israel’s general security service, said, we have wider latitude of action in the Gaza Strip because there are no longer Jewish settlers there. It’s basically a frontier area. So they brought in a guy, Asa Kasher, a Tel Aviv University professor of philosophy who has consulted for decades for the Israeli military on basically removing Israel from the Geneva Conventions’ protection of civilians, the rules of proportionality and rules of distinction on targeting civilians, and basically changed the rules of engagement so that the Israeli armed forces no longer would have to view civilians in the Gaza Strip as civilians. In Kasher’s words, they were the terrorists’ nondangerous neighbor. And so Israel no longer views people in the Gaza Strip as civilians. All of them are either terrorists or simply people who happen to be living next-door to terrorists. They can be eliminated at any time. They’re basically /dɛrlaɪf/. Now, that doctrine was what the U.S. began applying in Afghanistan, in Iraq, and especially in Obama’s drown wars in Yemen and in the tribal regions of Pakistan. This way of viewing people who live in these stateless frontier areas was established by Israel and has been adopted by the U.S., and it’s very important for the kind of–the way that the U.S. engages militarily now to protect this Isreali invention of asymmetrical warfare from challenges to it, legal challenges through international law. And that’s why the U.S. is basically–it’s one reason, besides our domestic political situation, it’s one reason why the U.S. under Obama is simply unwilling to impose any limit on the amount of force that Israel can exert against the people of the Gaza Strip. It’s because the U.S. has adopted the same mentality to those it has deemed its own enemies. JAY: Yeah, once you can defend the killing of hundreds of thousands of Iraqis in the name of defense of American security, then you have created this whole rationale that it doesn’t–collateral damage, the death of thousands of civilians, it’s okay, ’cause I’m alright, Jack. BLUMENTHAL: Exactly. In Operation Cast Lead, which was Israel’s attack on the Gaza Strip in 2008-2009, I think a lot of your viewers will remember that Israel used white phosphorus on the civilian population of the Gaza Strip, which heats up your flesh to 1,500 degrees Fahrenheit. They actually attacked the UN shelter with white phosphorus. And when they were criticized and accused in the Goldstone Report of committing war crimes, including through the use of white phosphorus, Asa Kasher, the ethical adviser to the Israeli army who I just described, issued a paper for a think tank in Jerusalem basically pointing to the U.S.’s deployment of white phosphorus in the attack on Falluja–and I think it was 2004–as Israel’s legal precedent for being able to use white phosphorus on a civilian population. The U.S. attacked civilians in Falluja in what it called a “shake-and-bake” operation. I interviewed the mother of one of the soldiers in the artillery units that attacked Falluja, and she said that he became suicidal after entering Falluja and seeing what he’d done, all these melted bodies everywhere. But it was the U.S. that set this standard for Israel in Gaza. And we see this constant symbiosis between the U.S., where one or the other will alter the shape of warfare and international law by violating all of the previous conventions of fighting through just abuses that we didn’t think were conceivable before. JAY: Alright. Thanks for joining us, Max.